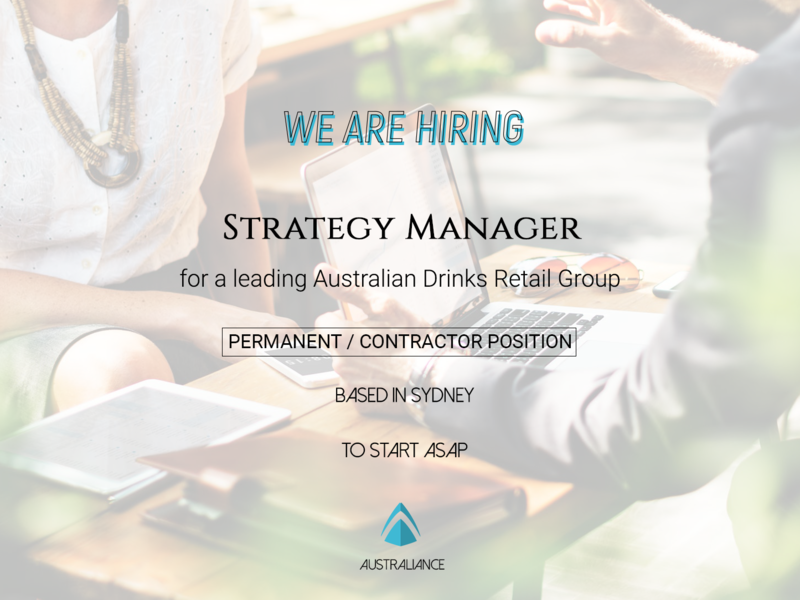 Australiance is looking for a Strategy Manager with 3-5 years experience in a Top Tier Strategy Consulting firm and retail sector, for one of our clients – a leading Australian Drink Retailer. Do not hesitate to apply if you are interested in this opportunity! As Australia’s leading drink retailer, our client has identified a number of ambitious strategic initiatives that will deliver the next phase of growth over the next 3 years. In this fast growing and dynamic context, they are looking for a Strategy Manager. Fill in our application form with the reference “Drink Strategy Manager 0818″.